I have been pondering on this article for a while. I felt it would be odd to discuss this but for a second thought I decided to visit the menace of trekking after the general elections in Nigeria. With due respect to the trekkers, what they exhibited was the peak of madness in the country. It was a desperate way of lobbying political leaders. Nigeria is ridden with abject youth unemployment and since the regular means can't guarantee money, Nigerian youths decided to do the irregular. Trekking was an activity I engaged in during my Junior secondary school days because I wanted to save an extra money for some small chops. It was not something to be proud of as kids then. Seeing Nigerian youths proudly bring back the culture almost took me on a voyage to the past. I have therefore decided to make a list of the top trekkers that did it the hard way to gain the rare attention of Nigerian leaders. He is an indigene of Kastina state, precisely Funtua which is also the birthplace of President Muhammadu Buhari. He was Born in Osun State Nigeria in one of the towns that lay by the road side. He resides in Ibadan Central in Oyo State. This 34 years old man deserves an award for being the pioneer of trekking in Nigeria. Hashimu had made a personal promise in 2013 that should Buhari contest and win the 2015 presidential elections, he would trek from Lagos to Abuja. Having won the March 28 elections, Hashimu was forced to fulfill his promise despite the discouragements he gathered. Then I was working as an Online Editor. I followed him from day 1 till the end. It was like a joke from the start but when he got a royal welcome in Niger state, Nigeria. People paid more attention to him. On the 20th of April, 2015, he finally arrived Abuja where he met the newly elected Nigerian President Muhammadu Buhari. A lot of other desperate Nigerians envied his great feat and decided to embark on the trekking sojourn. This goes a long way to tell you we are all role model being watched unconsciously by people around us. Following the successful trekking of Suleiman Hashimu from Lagos to Abuja, another die-hard supporter of the president-elect, Muhammadu Buhari, identified as Abubakar Duduwale, shocked Nigerians by towing that hard line of madness. He started a walk from Yola, the capital of Adamawa state to the federal capital, Abuja. Duduwale, who is from Yola North local government area in Adamawa state and from the Chamba tribe, told newsmen in Yola on Saturday as he commenced his journey that the adventure was to express his joy over the emergence of Buhari as president-elect then. A man identified as Abdullahi Afolabi Nadabagi who was described as a fashion designer and a father of two, shortly took off from Abeokuta, the Ogun State capital to embark on a journey to Lagos, on foot. He was well influenced by the power of the social media I guess. He disclosed that his mission for the trek was to meet with the former governor of Lagos State and National leader of the All Progressives Congress, APC, Asiwaju Bola Ahmed Tinubu and thank him for supporting Buhari to emerge winner at the last poll. The fact is that is always an excuse for the hidden trekking agenda. This was shocking when we got a wind of it on the social media. What a man can do, a woman can do better they say. This forced a woman to jeer up and represent the women in the history book of political trekkings in Nigeria. Hajiya Talatu embarked on the trip from Kaduna to Abuja to celebrate Gen. Muhammadu Buhari’s win at the polls. A Nigerian from Borno state, Mallam Hassan Umar, also embarked on an unprecedented walk from Lagos to Maiduguri, successfully arrived Ilorin, the Kwara state capital. Umar said he embarked on the trip to celebrate the victory of the All Progressives Congress in the 2015 general elections. candidate of the All Progressives Congress, President Muhammadu Buhari won the 2015 presidential election. while channeling their energy toward promoting the country’s democratic process. Another female who was patiently observing the trends of trekking carefully made a different choice. Agu Chidera Joy trekked already for 11 days before hitting the news headline. Then she was reportedly on her way to Abuja from Enugu State. She revealed she was trekking for both Goodluck Ebele Jonathan and Muhammadu Buhari. Most importantly, she claimed her trekking was for the promotion of unity in Nigeria. This she did during the intense fuel scarcity crisis in Nigeria. Her trek was quite strategic as she stood the chance of reaping her gains from both ends. also praised the president for delivering on his promise of a free, fair and transparent election in the country. Oladele was later joined by two other female treks who successfully completed the trip with him and met ex-President Goodluck Jonathan. He was fairly successful due to his knowledge of the social media as he regularly updated Nigerians with his changing locations. While Nigerians were still trying to comprehend the new frenzy, on April 27, 2015, a 35-year-old Kaduna-born cyclist and supporter of Buhari, Mohammed Jafaru a father of 4, embarked on another over 750km journey to meet with the Vice President-elect, Prof. Yemi Osinbajo, in Lagos State from Kaduna State. Jafaru said he was coming to Lagos on bicycle to thank the Yoruba for voting for Buhari. of General Buhari during the March 28 presidential election. Forty-five-year-old father of four, Adamu Abdullahi gave his family a break to embark on a ''lobby trek'' with a similar story. Abdullahi, who started trekking on April 30 from Maiduguri in Borno State, said he would trek to Abuja to congratulate the President-elect. petitions to him so he could forward them to Buhari. This is a bit inspirational. It goes a long way to tell you there are no limitations to success in life if the will to succeed is there. To the surprise of many, a 30-year-old physically challenged man, Ibrahim Musa, announced that he had started trekking from Kaduna to congratulate Buhari in Abuja. Musa, whose hands have been amputated, said he had a petition to submit to Buhari on the need for the new government to consider the physically challenged in the country. His cause seemed good but is trekking the best way to advocate for the interests of the physically challenged people? In a bid not to be left out, an admirer of President Goodluck Jonathan, on May 1, 2015 said he would be trekking from Taraba to Bayelsa State to honour Jonathan for conceding defeat. 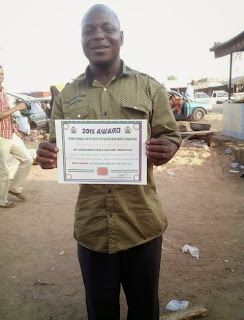 which is not less than 660km, he would present an award to Jonathan on behalf of Taraba youths. Tankwa hoped to arrive in Bayelsa State by May 29, so as to be able to meet Jonathan who would have vacated Aso Rock and returned to his native home of Otuoke. These men met their waterloo after trekking to meet ex-Vice President Atiku Abubakar in Yoka. The men, Salihu Jibrin, Aliyu Adamu and Abubakar Suleiman, never lost the hope of seeing Atiku or his representatives to deliver their messages and return to the comfort of their homes. victory in the general election but up to now I was unable to see him. good Samaritans,” Jibrin said . 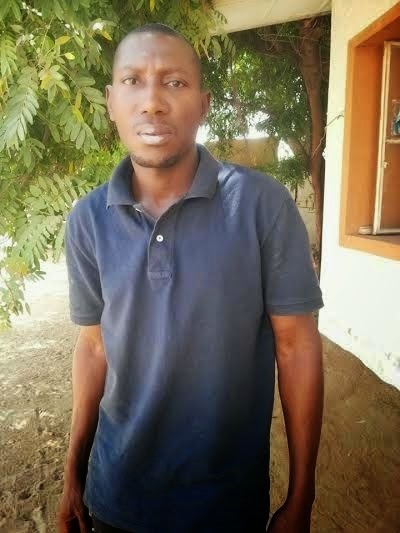 Adamu, who rode bicycle from Kaduna to Yola, said he spent eight days on the way. before going back home. *In my Nigerian accent* ''See bad market, who send them message?" As the trekking season of surprises continued, the worst case scenario emerged with another female trekker. Mrs. Alice Daniel, 35-year old nursing mother, to have embarked on an unpleasant adventure; trekking from Minna to Abuja with a barely two-month old baby. That was a huge risk. She never considered the plight of the tender baby who must have been exposed to the scorching sun. for the labour ward. She promised that if General Buhari won the election and was declared winner she would trek from Minna to Abuja to personally congratulate him for the victory. Mrs. Alice, claimed that there were efforts by her husband, mother and some family members as well as friends to stop her, but that her mind was made up to fulfill the promise she had made to herself. Determination was the key here. She had a sketch. I don't have many details about her but she joined Oladele Nihi alongside another lady for the Otuoke trip. She initially had issues out of family pressure which caused her to back out but due to persistence, she was in again. She saw the tedious task to the end. 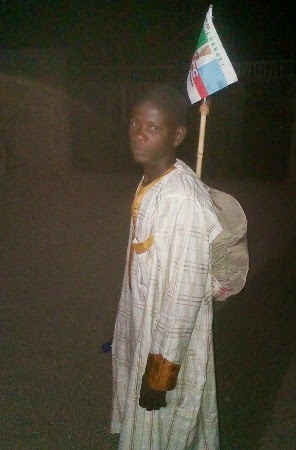 The 35 year old trekker Isa Kwarawanga of Zubo village in Shiraz LGA who trekked from Jama'are to Bauchi to congratulate the victory of the state governor-elect Barrister Mohammed Abubakar reached his destination but found no one there to welcome him. Mallam Isa trekked for five days and had informed the APC in Jama'are that he was trekking to Bauchi and had expected the APC in Bauchi to welcome him...but there was no one there. At least someone should give him transport fare to take a bus back home. something else to do with your time? This trekking thing is over-flogged!'' - Top commenter. on May 29 was declared missing by his father. Mohammed, said Nuruddeen’s father, Muhammadu Hussaini, a Deputy Superintendent of police and a resident of Anguwan Abuja in Dass, reported last week Wednesday at the Dass Divisional Police headquarters that his son’s whereabouts was unknown. According to the father, all efforts to locate him had so far proved abortive. The list finally ends here, when I started the research, I never knew the list would be this long. I tried as much as possible not to leave any trekker out as a sign of my humble honour to them. Shout out to all the trekkers who decided to achieve their aims the hardest way. If you will entertain my personal view on this trekking saga, I will attribute it to the high rate of unemployment and poverty ravaging Nigeria. They all tried to hide their personal ambitions and inner motivations but we all know they did it for financial benefits and opportunities. I wonder what the next trend would be like. I just hope it will not be detrimental. It’s dark here already in the village. The great Town Crier with an M.sc deserves to hit the sack after a very stressful day of running errands for the king.